See below for some of the types of services we provide with our team of estimators, installers, designers and construction crews to assist you with your project from start to finish. No project is complete without your drainage issues addressed, and the finishing touches of landscape and hardscapes. Most often people ask what is hardscape? Hardscape is used to describe non plant type decorative and functional attributes to a project, such as pavers, decorative concrete, patios etc. See a more comprehensive list below. Drainage is an important factor to consider prior to placing your hardscape and landscape. Many of our quarry materials are used below the surface and away from the visual of the project to aid in making sure that issues with drainage don’t arise after project completion. We provide free estimates and assistance with the design and construction process from your first thought to the finished project. Sitwork Supplier Inc. works closely with a local, established and reputable full service construction and landscaping company to assure realiability and dependability throughout the entire project. Call Sherri Swenson today at 941-270-1235 to begin the process of beautification for your commercial or residential project and see you visions become a reality. (Hardscape) – Hardscape, Hardscaping, Brick, Pavers Brick Pavers, Interlocking Brick Pavers, Uni Stone, Pervious Pavers, Paving, Brick Paving, Stone, Natural Stone, Retaining Walls, Segmental, Tiered Walls, multi-level walls, Driveways, Patios, Pool decks, Pathways, Clay Pavers, Coping, Bullnose, Clean and Seal, Eco Pavers,Tumbled Pavers, Distressed Pavers, City Scapes, Antiqued Pavers, Stone, Shellstone, Shelllock, Field Stone, Remodel Pavers, Stone walls, Aqua pave, Eco pave, Green Paving, Permeable, Turf stone, Turf Block, Travertine, Slate, Sealant, Paver Care, Flag Stone, Uni- Eco Stone. 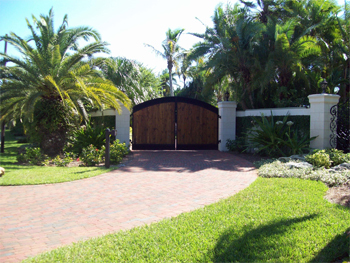 (Landscape) – landscaping, Landscapers, Tree, Tree service, Irrigation, Exotic, Native, Xeriscape, sod, mulch, ground Cover, Shell Walks, Decorative, Nursery, trimming, Pruning, Palms, Transplanting, Florida landscaping, Planting, Botanical, Vegetation, Foliage,Green Scape, Tropical, Shrubs, Landscape Maintenance, Landscape Installation, Green Practices, Low Voltage Lighting, Landscape lighting, Lake Management, Residential Landscape, Commercial Landscape, Landscape Management, Irrigation services, Landscape Design. (Drainage) – Water retention, Retention pond, Retention, Restoration, Rain Tank, Underdrain, Sock pipe, Swale drainage, Pipe, Excavation, Ponds, Grades, Slopes, Digging, Grading, Sewer, Trenching, Concrete Pipe, Erosion Control, Flood Control, Geotextile, Geogrid, Ditch, Water, Drainage Swale, Filter, Water Collection, Blanket drain, Scupper Drain, Catchbasin, Inlet, Outlet, Internal, External, Culvert, Stormwater management, Bio retention, watershed, Run Off, wetland, French drains and more!